Chechen rebel leader Doku Umarov (Iумар КIант Доккa) has claimed responsibility for Monday’s suicide bombings in the Moscow subway system. Umarov personally ordering the Moscow Metro bombings which took the lives of 39 civilians and injured over 60. He also warned that more attacks were to come on Russian soil because of perceived repressions of Chechnya by Prime Minister Putin. 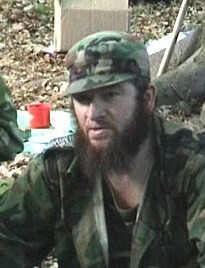 Two of Umarov’s brothers, Isa and Musa, have been killed in combat and since 2003 several of Umarov’s relatives (as well as many relatives of the other Chechen separatist leaders), have been kidnapped by “unidentified armed men” (presumably government agents); some of them were promptly released but the others have disappeared and are feared dead. Shortly after the Beslan hostage-taking raid in 2004 Umarov’s close relatives were held for several days at Khankala military base near Grozny, Prosecutor General of Russia Vladimir Ustinov suggested the practice of taking rebel leaders’ relatives hostage.